Helix Angle Adjustment, RH Leads: 45 Deg. Helix Angle Adjustment, LH Leads: 90 Deg. 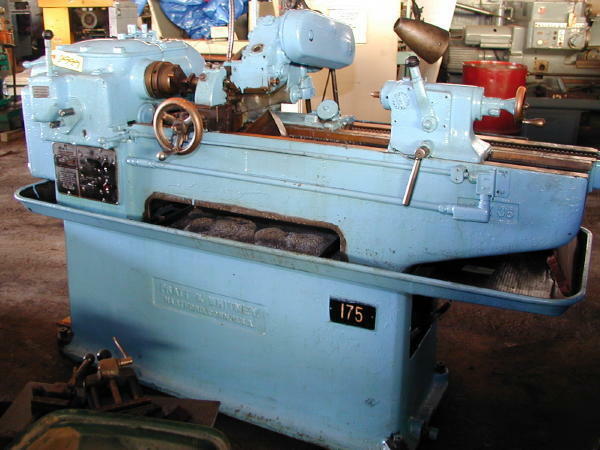 Hole Thru Spindle Head: 1-9/16"
Leads W/ Regular Gears, LH & RH: 24 pi to 12"
Overall Machine Size: 82" x 41"
Machine Weight, Approx. : 2700 Lbs.